List and explore the foundational elements of an occupational therapy based driving evaluation in the clinic. Explore the clinical driving evaluation! This course provides the occupational therapy practitioner with the skills and insight needed to complete a successful clinical evaluation. Lessons review components of the clinical evaluation, key points and tips for a thorough clinical evaluation, and value of occupation-based assessments. Common assessments and goals used by the primary practitioner addressing driving and community mobility are introduced, as well as opportunities for collaboration between the occupational therapy practitioner and the driver rehabilitation specialist. Lessons & examples explore strategies for individualizing the clinical evaluation process and application of critical thinking during the evaluation. Enjoy a variety of learning activities from videos, to discussion boards, case studies, and more. Take this course as part of the In the Clinic Curriculum Bundle or on it’s on. 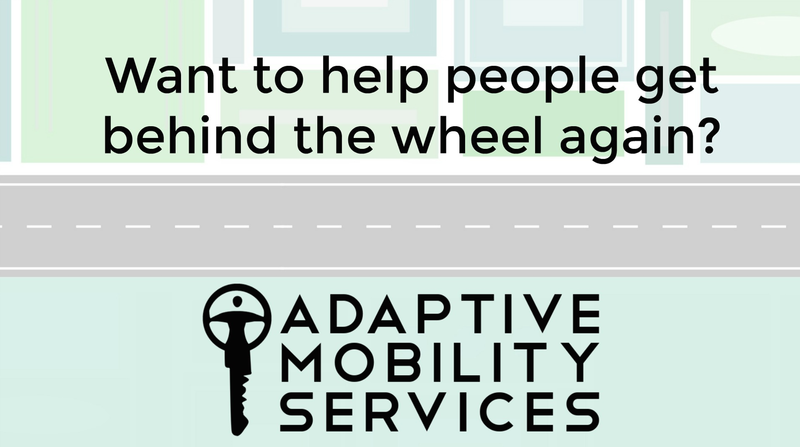 Adaptive Mobility Services, LLC. is an AOTA Approved Provider of continuing education. AOTA does not endorse specific course content, products, or clinical procedures. The assignment of AOTA CEUs does not imply endorsement of specific course content, products, or clinical procedures by AOTA. Course Completion Requirements: Learner will review all course lessons, participation in discussions, review handouts, & complete post exam and AOTA APP provider survey. Adaptive Mobility Services is committed to providing high quality, evidence-based, education infused with practical experience, real & hypothetical case studies, a range of learning opportunities. It is our goal to help you reach your goals. Whether you are an OT looking to expand your practice in the clinic or ready to become a driver rehab specialist in the car, we are here to help! If you have any questions, comments, or would just like to say hello, email us! Cancellation, Refund, & Disclaimer: Please visit main page for full details.